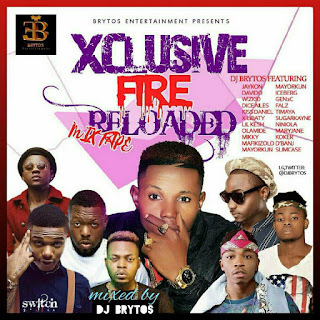 UNDISPUTED DJ BRYTOS comes through with another dope mixtape for 2018 entitled "XCLUSIVE FIRE RELOADED" after the well accepted '100% 2018 STREET ANTHEM MEGA MIXTAPE" that got everyone’s attention. Yumyum! This Mixtape features 'Jaykon' a fast rising act new single 'fire' and a host of other trending A-list acts like Davido, Dotman, Tekno, Olamide, Dice Ailes, Mafikizolo, Mayorkun, Kiss Daniel, Maleek Berry, Falz, Ycee, Niniola, D'banj, Big Shaq and so on. This is unarguably one of the best Mixtape out. Download and update your music library.